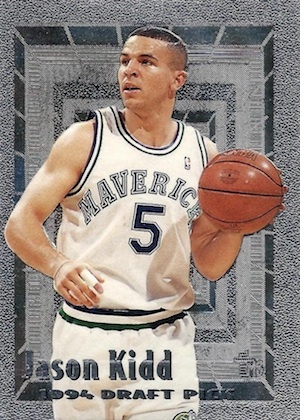 Based on his long and successful NBA career, Jason Kidd rookie cards and memorabilia have developed a solid collector following, even if values aren't amazing. 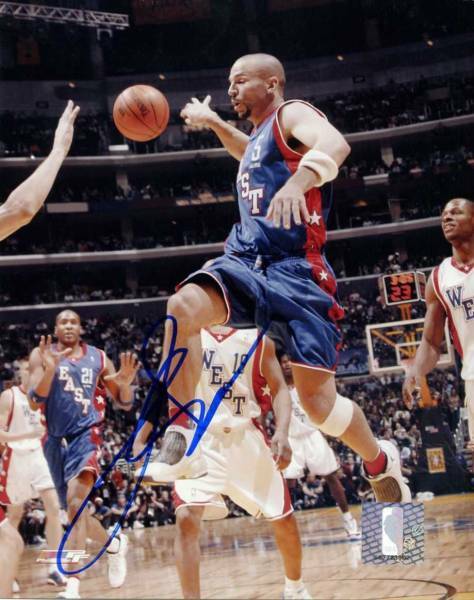 The All-Star player and head coach sees his career come full circle with enshrinement in the Pro Basketball Hall of Fame. 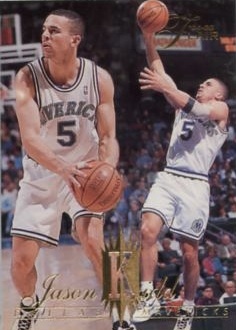 As a whole, Jason Kidd rookie cards are very reasonably priced. Debuting in the early '90s means that most of his initial cards were overproduced and fairly plain. He has 15 rookie cards in total, which are all non-numbered base rookies, and the majority are found for just a few dollars. 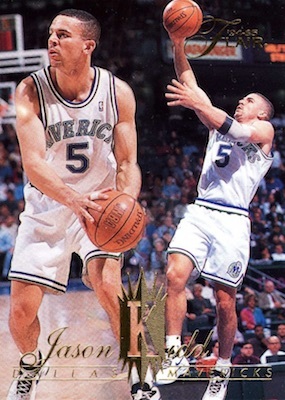 Three Jason Kidd rookie cards stand above the rest and are detailed below. 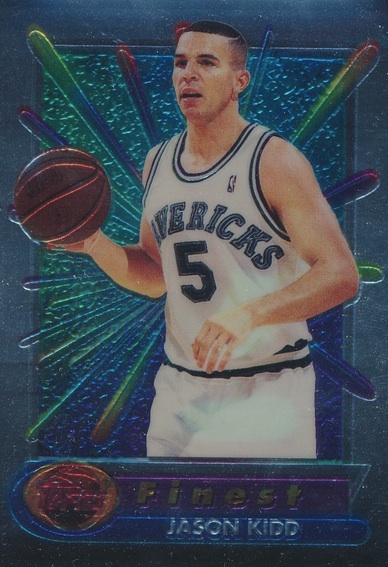 View the most popular Jason Kidd card listings on eBay. 1994-95 Flair is class personified. Gold foil and a dual image alongside a nice gloss form a simple and striking rookie card. After all these years, it still maintains an elegant look. 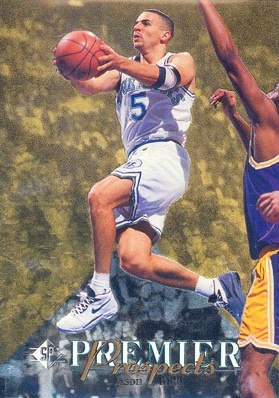 While the base set featured a completely different design, 1994-95 SP Basketball was all about the foil for the rookie cards. The use of gold is a little much and the combination with silver foil seems strange. It is important to point out that these are very condition sensitive. There is also a die-cut parallel that falls one per pack overall, and adds a chase element. 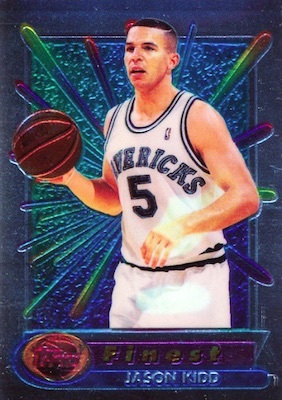 Easily Jason Kidd's most valuable rookie card, 1994-95 Finest Basketball brings a color scheme and design that was truly eye-opening. The big draw is the Refractor parallel. There is also the timeless debate of peel or don't peel with regards to the protective coating. 1994 95 TOPPS FINEST #286 JASON KIDD RC ROOKIE KSA 10 GEM MINT! 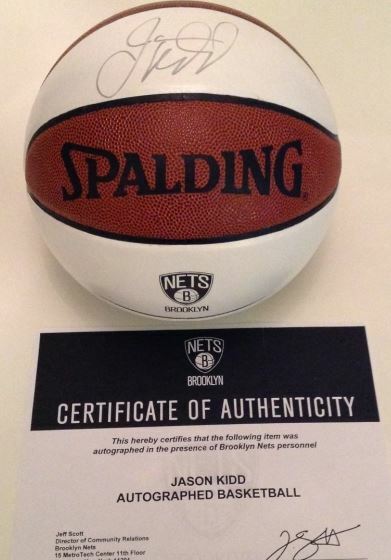 Below you will find an example of what Jason Kidd's authentic signature looks like. This can be used as a first point of reference for determining the legitimacy of autograph memorabilia, but is not a substitute for having your items authenticated by a well respected professional autograph authentication company. Reputable authentication companies include JSA, PSA, Panini Authentic, Upper Deck Authentic, Tristar, Steiner and Mounted Memories to name a few. Signed on a relatively even horizontal plane, the signature may exhibit a slight upward angle, with a slight lean to the right. The letter "J" is larger than the other letters, very legible and written in cursive with closed loops, top and bottom, with the bottom loop being the larger of the two and a long horizontal line extending to the right, even with the plane of the signature. The letter "K" is easily discernible and is printed. The letters "d-d" are discernible, while the letter "i" is implied. The "d" letters themselves resemble fish hooks, with neither containing a closed loop. 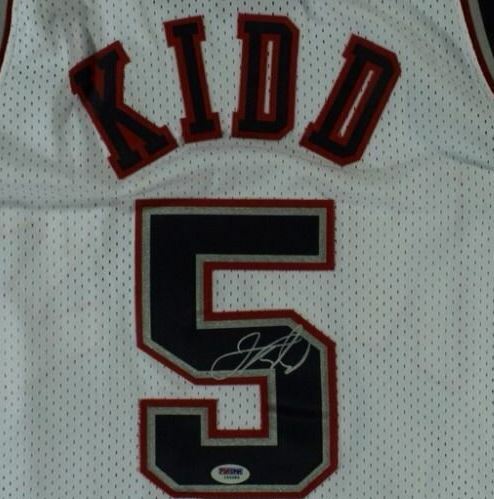 *Other times, Kidd has signed with loops coming off the tops of the "d" letters.